Beginning the evening of the 29th and going until the evening of November 30, they celebrate a holiday they call Andrzejki. The party consists of dancing and lots of eating and drinking. On December 1 the Roman Catholic church calls for fasting until December 24, which involves no parties with alcoholic beverages, dancing, etc. Note: One’s definition of a a party might be different. They do have what we Americans would have called a Christmas party for the kids at school on the last day of classes before the break, but they don’t call it a Christmas party – they call it their Christmas Eve dinner – or “wigilia”. But to my eyes, it appeared pretty much like a class Christmas party – lots of food and fun things to drink - Coca Cola, juice, time off for the kids, and sometimes a program --it is true there was no disco or dancing. This holiday focuses on girls predicting the name of their future husband. These days it seems to be done in jest, whereas in days gone by, possibly people actually believed that the fortunetellers were for real. In the middle of the night on November 29, it was Saint Andrew's job to help young people figure out who their future mate would be. This is how it is celebrated now. They have parties - either at a home or in a club and play these types of games. 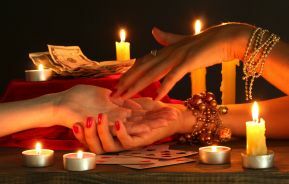 Predictions of the future using wax – the most well-known divination technique based on pouring wax. You have to melt wax and then pour into cold water. It is not so easy, because the wax must go through the hole in a key. At the end you take the wax figure (or something you just created) and look at the shadow of it, as it is a prophecy for the next year. Shoes race – everyone in a group take off their shoes. Your next task is to go to the furthest wall from the doors and by putting one shoe at a time in front of each other in the direction of the door. The first shoe which crosses the doorstep belongs to the person who will soon change their marital status. Another website gives these tidbits: These are some of the things they would do to help predict the details of their future mate. One of the way of discovering the future husband was to interpret the girl’s dream from the night preceding the St Andrew’s Day . After the intensive praying to St Andrew they expected to be shown their future husband during the night dream. The man they could see during the dream was the one they would soon merry. The favorite way of future telling was for a group of girls to pour liquid wax into water. The shape of the solidified wax would tell what the future husband would look like, what would be his profession, and so on..
Who is the first to get married? During the girls St Andrew’s Eve gathering they wanted to know for whom the church bells would ring first. The answer was the result of the shoes competition. The owner of the shoe which reached the door first, would be the lucky one - the first to leave the house i.e. get married. From which direction will he arrive? To know from which direction the boy would arrive, the girls would leave the house for a wile to listen to dogs barking. From the direction the dog was barking, the boyfriend was expected to arrive. Here's another website with some information about this holiday if you care to read it (in English, of course!). And now you know about one more holiday that they have in Poland! And if you need something for your current projects, take a look at what my sister has for you!